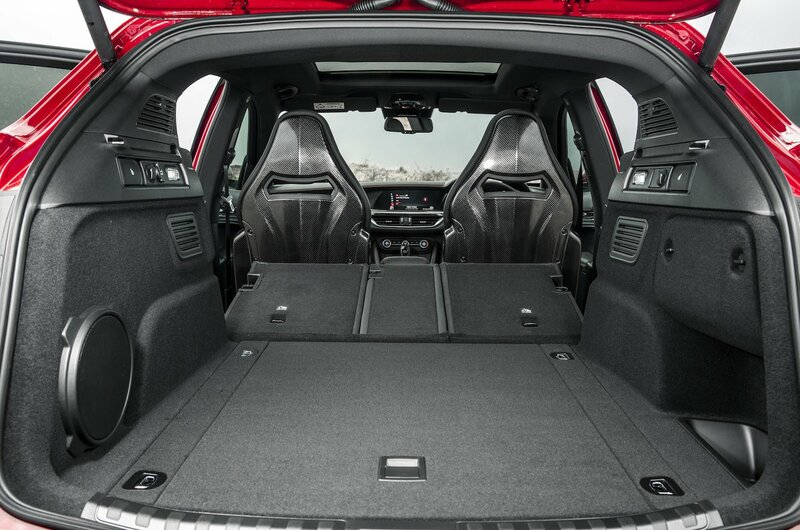 Alfa Romeo Stelvio Quadrifoglio Boot Space, Size, Seats | What Car? 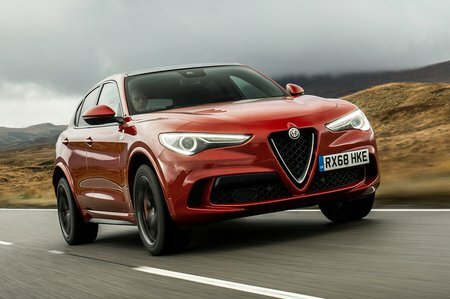 The Quadrifoglio may be an SUV that's capable of out-accelerating supercars, but that doesn’t mean Alfa Romeo has compromised on practicality. 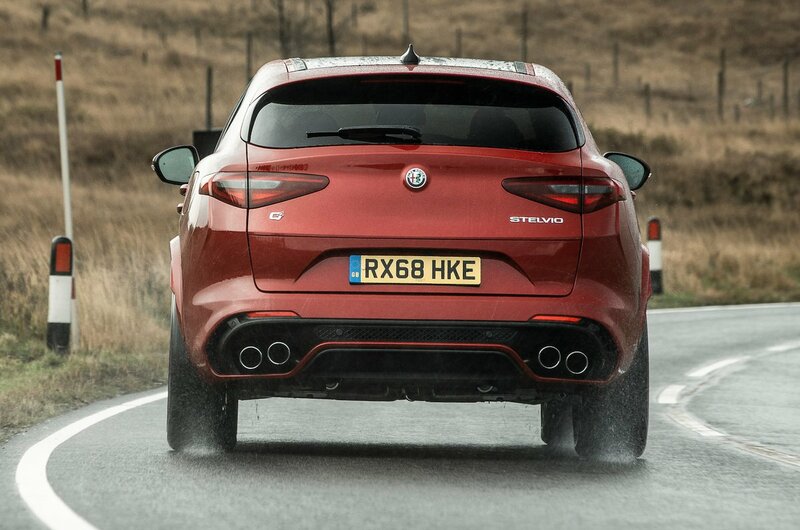 Here, the only real difference from a standard Stelvio is the wider front sports seats. These give the driver and passenger more lateral support yet still offer ample head and leg room for six-footers. There’s enough space for two adults in the rear, too, but carrying a third won't make for a comfortable experience on long journeys, due to a flat middle seat and a front centre console that eats into leg room. In terms of storage, the rear door pockets are rather small, but you can still get a little bottle of water in there – plus you also get a pair of cupholders in the rear armrest and a couple of USB ports between the front seats. At 525 litres, the Quadrifoglio's boot trumps the Macan's but can’t quite match the GLC 63's. The load area is a usefully square shape, though, with no internal load lip; it’s just a shame that there aren’t more hooks for bags or eyelets to hold down loads.